For Roll Up Door Repair Washington DC, Click Here. For Roll Up Gate Repair Washington DC, Click Here. For Garage Door Installment Washington DC, Click Here. For Garage Door Repairs Washington DC, Click Here. Rolling Gate or Overhead Door? Looking for a roll up door repair in Washington DC? 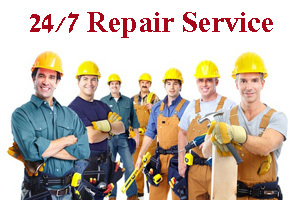 Need someone who offers same day repair for all kinds of roll up doors and gates in Washington? You just found it. 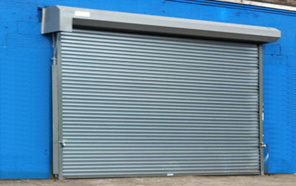 DC Gate Experts offer same day roll up door repair in Washington, including Rolling gates services, Roller shutter installation, new roll up door set up, and roller shutter repairs in Washington DC. No roll up door project in Washington DC is too simple or too complicated for us. With our 24-7 repair service in DC, you can relax and know that someone will always be there to help. From roll up door repair in Alexandria Washington, to rolling gate installation in DC, all you need to do is to contact us, and get it repaired today. 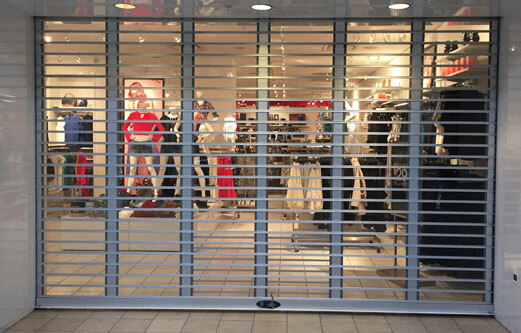 From doors, electric doors, security doors, rolling gates, steel garage doors and much more, we service all kinds of roll up doors in DC, including storefronts shutters. DC Gates Experts repair garage doors from all brands and makers in D.C. Many times our customers ask us if we can repair their garage door, since they are not sure if we fix their broken garage door, or they are not sure if we repair wooden garage doors. 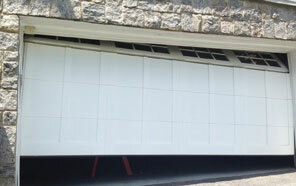 So we would like to make it clear: If it is a garage door in DC, DC Gates Experts can fix it, and they can fix it today! From commercial overhead garage doors, to residential garage door tune up, our technicians can repair it. If your garage door spring snapped, the door is out of track, or if the opener do not respond, we are the answer for all your garage door services in DC and the area. 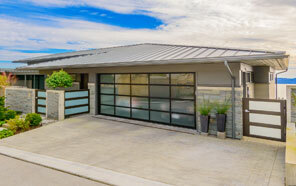 There are many reasons that can affect a garage door and the way it is moving. It is enough that one of the rollers is damaged or broke, to take a garage door out of its tracks. When one of the experts from DC Gates Experts arrive to inspect a broken garage door at our customer’s in location DC, we often find that the problem started long before they contacted us, and if they would of contact a local garage door company in DC on time, the repair could cost less than third from what it will cost now. So the experts of DC Gates Experts always say, and we will say it again, do not wait until it is too late, and until your garage door will stop working completely. If there is something wrong with your overhead door, if the cable is lose or damaged, the spring broke, the roller is bended, or if the door is making strong noises, contact a local garage door company in DC to come and fix your broken garage door. Besides saving money, that you will spend if you will wait until the damage will be bigger, you will avoid putting yourself, or one of your family members at risk. We, at DC Gates Experts, offer same day garage door repairs near DC D.C, and since we carry the parts with us, like garage door spring or rollers, we can fix any broken garage door in DC on first visit. Whether your roll door in Washington is off tracks, bended, the motor does not respond or the spring broke, we will always be there for you. 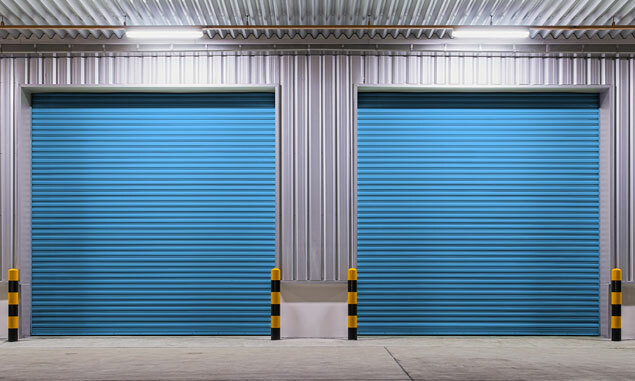 With years of experience in the roll up doors and steel gates repair in Washington, we have the experience and the expertise to repair your roll door today. Contact DC Gate Experts of Washington, and and a member from our teams of technicians will be on his way, to put your door back on track and working again. 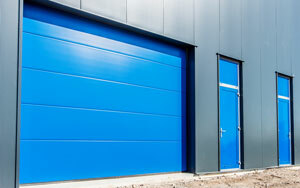 Fixing rolling doors in Washington is what we do, and we always do it in a quick and efficient way. If your roll up door in Washington DC is stuck, if you own an electric roll door and the motor does not respond or if you think that something is wrong, we suggest that you will stop using the door and contact a company who fix rolling gates in Washington ASAP. Many times the problem can be repaired within minutes by a trained technician in Washington, but if you will try and “force” the roll up door to open or close you can cause a bigger damage and even personal injuries. By doing so you create a bigger damage, and you will have to spend much more money, and spend much more money and time, that you could save by calling a roll up door repairman in Washington DC on time. Besides rolling gates and rollups repairs in DC, we offer same day repair service for Overhead garage door in Washington. We repair and service commercial and residential garage doors in Washington DC, including new garage door opener installation and garage door spring repair or replacement. 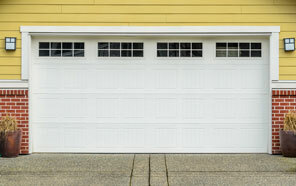 Need a new garage door installation in Washington? No problem. 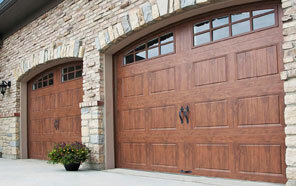 We carry garage doors from leading garage doors brands in DC, which are designed to fit the American standard. 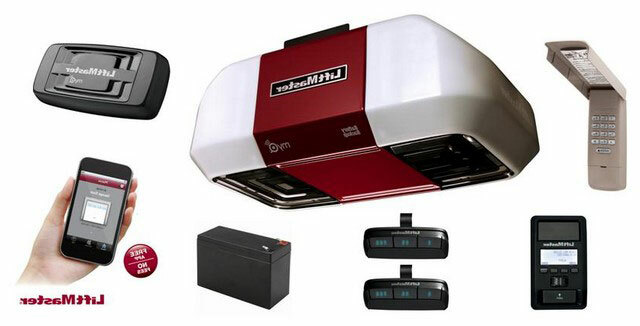 We carry overhead garage doors from leading brands in Washington, such as Lift Master garage openers, Genie garage openers, Clopay doors, Amarr garage doors and more. And since we are located in Alexandria Washington, you are local to us, so we can service any overhead garage door in Washington DC today. There is one secret, which we are always happy to share with our customers in Washington, and it is the importance of rolling door maintenance in Washington DC. As we all know, the weather in Washington is not easy, and the fact that an exterior garage door or rolling gate in Washington can be exposed to weather conditions, require from us to pay attention to our rolling gate. It doesn’t matter if it is a garage door in Fairfax Virginia, a rolling gate in DC, a roll up door in Annandale, or even a garage door in Washington County, D.C.: all of them need to be greased or lubricated every 6 months, to make sure they will continue to work, and won’t get stuck soon, and save from you the need to contact a rolling gate company in Washington to come and fix the gate. 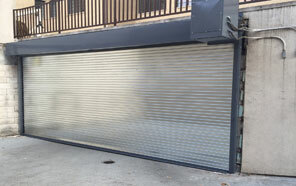 DC Gate Experts of Washington offer same day roll up door repairs in Washington, including steel door repairs, storefront shutters repairs Washington, rolling gates Washington, and commercial roller shutters services. If you are unable to remember when the last time a gate repair company in Washington DC maintained your rolling gate, you may consider contacting DC Gate Experts for same day service in Washington DC. If you’re automated rolling door in DC stopped working, or if you need someone who fix roll up gates in Washington, DC Gate Experts from Washington DC can help. We fix, replace, install, maintain and inspect automated doors and gates in Washington DC. Whether it is a steel roll up gate, a swing gate or an automated overhead door, we can fix it. 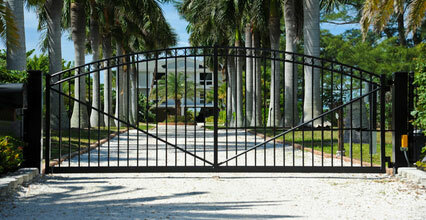 We service commercial and residential steel gates in DC, and we fix them the same day. Our gate repair company in Washington is insured, and hire professional technicians, who are experienced in repairing all types of rolling doors and roll up gates in Washington DC. There is no need to worry that you may have to wait many days for someone to come and repair your gate in Washington, with our same day service in Washington County, D.C. of Washington, we will be there, and we will fix your rolling door in Washington D.C. today. When it comes to roll up gate repair in DC, you are probably interested in getting your roll up gate repaired ASAP, and if possible within few hours today. To get your gate or rolling door fixed today, you need a local roll up doors and roll up gates repairs company in Washington DC. The good news is that we can help you with what you need. With our famous same day roll up gate repair in DC, we will fix your roll up gate today. Whether you need a garage door repair near Washington DC, a roll up door repair, a rolling gate repairs in Washington, or even a roll down gate repairs in Washington County, D.C., we can help. We offer same day door and gate repairs in Washington, and we can be there for you today. The weather conditions in DC is the biggest enemy of the roll up gate and its parts. And when you ignore the need for a gate or a roll door in Washington DC to be maintained, it is just a matter of time before you need a roll up gate repair service in Washington DC. Whether it is a broken spring in DC, a gate in Washington DC that went off track, or even a motor issue with a rolling gate in Washington DC, we can fix it. We have successfully repaired and installed countless roll up gates in Washington DC, and we will be glad to add you to our long list of satisfied customers, who know that when they need a roll up gate service in Washington DC, DC Gate Experts of Washington DC, with their famous same day roll up door repair near Washington is the best choice. There is no question that an electric roll up gate in DC, or anywhere else in Washington can improve the way you use the gate, and make it easier to open and close it. But at the same time, an electric gate in Washington can break, stop working and need someone to fix it once every few years, especially if you have been ignoring the need of every gate and roll up door in Washington DC for maintenance. This is the time to make it clear, that forcing a broken electric gate in Washington to work, although the gate is stuck, can lead to a bigger damage, and can even be dangerous. All you need to do – in order to get a gate in Washington repaired today – is to contact DC Gate Experts of Washington, and get your roll up gate in DC working again today. The nature of the service we provide in Washington DC, demand from us to available 24-7 for any kind of roll up gate repair in DC. If you can’t close your gate in Washington at the end of the day, or open your gate in Washington County, D.C. when you start the day, call us, and we will be there ASAP. 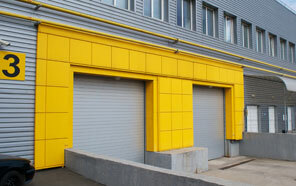 We offer emergency rolling doors and gates repairs in DC. Did the drive-way gate got stuck? The remote control doesn’t open the drive way gate? Someone accidently backed with a vehicle into the gate? We can help. One of our specialties at DC Gates Experts is gate technician in DC, and that include all types of iron gates including drive way gates. Whether you need new motor for motor-driven drive way gate, or emergency repair for a jammed driveway gate, we are here for you. 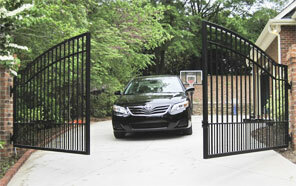 Our techs specialize in all types of drive-way gates repairs in DC, and we are ready to help any time any day. 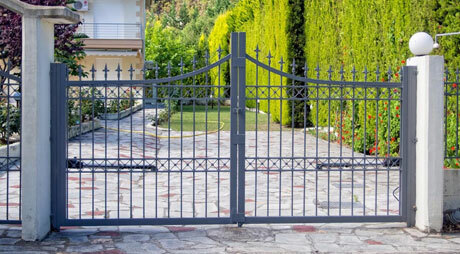 If you own an automated driveway gate in DC, and the motor do not open the gate, or if it seem like it is having a problem to open or close it, you should get in touch with us for a same day repair service in Maryland California. Even if you purchased a high quality gate motor in the past, and even if the gate was maintained on time, even the best motors can stop working after certain time, and that depend on many variables. Luckily, a broken drive way gate motor is something that we deal with on a daily base, and we know how to locate and address the problem with minimum cost form you. The installers of DC Gates Experts carry gate motors from leading brands, designed for the American standard, and we have successfully replaced and repaired countless amount of gates motors in Maryland and we will be glad to add you to a long list of customers, who can tell you that when it comes to gate repair in DC, DC Gates Experts is the best choice. 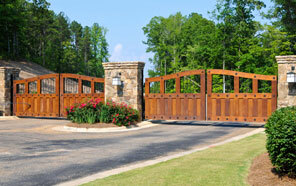 To get the gate repaired quickly, professionally and for a fair price. Sometime the gate require welding services. If that is the case, and you if you need someone who perform iron work in DC, and who can repair a drive way gate that was hit by a vehicle, stop looking since you just found what you are looking for. We at DC Gates Experts believe that every gate problem can be solved, as long as it is not breaking safety laws, which for us always come first. We offer welding services in your house, so we will come to your place, weld the broken part and make sure that the gate is safe for use and working again.Same day welding service in DC. Sometime the condition of the gate seem severe, in a way that the gate looks like there is no chance it will ever work again, and that the only possible solution for it will be to completely replace it. Nut the truth is that we have repaired drive way gates in DC that looked like they will never work again. Since when you are an expert, no task is too complicated for you. When you know gates in DC, no gate repair task is too big for you. We service all Washington, DC. Whether you need a garage door repair, a roll up gate repair, a commercial garage door in Washington DC, or a rolling door in Washington, we will be there today. We service commercial and residential garage doors and gates in DC, and no gate repair or installation project is too small or too big for us. 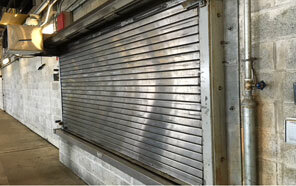 Need roll up gate parts for a rolling door in Washington DC? We can help. We carry roll up gates operators and parts from leading manufactures in Washington, which are designed to fit the Weather in Washington DC, and to last for many years under all conditions. But if you are considering to repair a broken door in Washington by doing it yourself – without using the services of a gate repair company in DC – You may want to rethink it. With our same day roll up gate repair in DC, one of the team members of DC Gate Experts of Washington will be there today, to assist you with ant rolling gate or roll up door issue. If you look around you late night, while walking the streets of Washington, after most stores in Washington already closed their store front gates, you will notice how many types and kinds of rolling gates a roll up doors can be found in Washington DC. There are heavy duty rolling doors in Down Town Alexandria VA, one car garage doors in Washington, See-Through grill gates, and heavy duty parking lot steel gates. And we, at DC Gate Experts of Washington can fix them all. 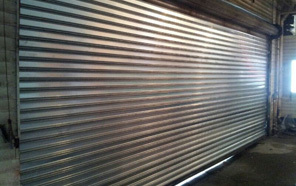 Fixing rolling doors and roll up gates is what we do, and we are considered to be professionals in the field, We provide comprehensive training to all our technicians to deal with all types of gates in Washington, so they will be able to provide the customer with the fastest and the most efficient steel gate repairs service in Washington DC. Roll up gate repairs Washington D.C. Roll door service Washington D.C. Overhead doors repairs Washington D.C.
Commercial gate repairs Washington D.C.
Gate operator repair Washington D.C.
Do not wait until your gate in Washington completely stop working. If you will wait until the rolling door will completely get stuck, it is going to cost you much more money and time. If there is something wrong with your roll door in Washington DC, contact a company that fix rolling gates and roll doors in DC to come and fix your broken gate today. We Will Fix Your Broken Gate in Washington DC Today!